Management education has come up as a very lucrative and career defining field of studies for the fresh graduates worldwide. Doing your post graduate studies in the field of business management can lead to the development of skills and knowledge necessary in this demanding field of work. Selecting the right business management course is the first and most important step that the student takes towards starting a new career in this field. The graduates these days are spoil for choices for their pick of right institute and courses, with options ranging from MBA to PGDM to PGPM courses with subtle differences separating the three. For many other non-management courses in India, the differences might be much bigger and choosing the degree over the diploma would be a no brainer. That is not true in the management courses, where the offerings are all more similar than different and all have their own strength and weaknesses with no clear winners. It is easy to get confused and subsequently feel lost while selecting the right course leading to a big bright future. The choice becomes even more difficult to make when you consider the fact that some of the most highly prized management courses at top B schools in India are a mix of all three types, and all have excellent prospects. Here we explore all three to understand the finer difference and make an informed decision. MBA is a “Masters” degree course (10 + 2 + 3) offered by leading business schools in India. To offer an MBA, the institute must be accredited by a university which enables the B School to award the degree. MBA courses are universally accepted and they enable the students to go for their doctorate program effortlessly from any university in the world. This makes them an excellent choice for students who wish to pursue a career in academics or research. The management institute has less autonomy over the course since it is regulated through the accredited university and they can’t change the curriculum very frequently. Usually MBA degrees are considered more theoretical than the others with a strong academically focus. MBA can be offered in a two-year format for students who have just finished their graduation in any stream and in a one-year format for students having some work experience (2 to 5 years) after their graduation. Broad focus on management education with more emphasis on classroom based theoretical understanding of the management subjects. A PGDM course is awarded by autonomous institutes which are not affiliated by any university. The fact that they are not regulated through a university gives them a little less stability but more control over their curriculum. Since they are diplomas and not degrees offered by affiliated universities, many students prefer MBA over PGDM courses. The PGDM courses are more specialized and are aimed to provide better focused on a specialized field of management, such as Human Resources, Supply Chain Management, Retail, Sales and Marketing and many more. An MBA in contrast, aims to provide education in a more balanced way across all fields of management. The curriculum of the PGDM program is more specialized and less comprehensive; it covers less ground than an MBA program. A PGDM institute must have approval from AICTE to be considered an equivalent of the MBA program. PGDM alumni need an MBA equivalent certificate to secure a job at international market. Offers a lot of flexibility in learning. Course is more fluid and adjusts well to suit the need of the hour. A more budget friendly option compared to full time MBA or PGDM. Industry driven and business centric approach with often faculties from reputed MBA or PGDM colleges. Does not focus on creating ground for further academics or fellowship. Entrance is the combination of entrance examinations and experience cut-off as specified by the institute. Understanding the crucial difference between PGDM, PGPM and MBA is required for the students who are looking for a career in the management field. Understanding this can help them choose the right course for their management education and differentiate the offerings of top business schools in India. These courses are professionally oriented and can create a big difference in the career path of a fresher and experienced professional alike. What is important in a B-school – Faculty profile or Infrastructure? The business schools are the new age melting pot where a lot of bright minds from all walks of life gather around and try to build their career in the field of management. For thousands of students in India who make part of the batches running across various top business schools in India, a lot depends on the learning experience. The b schools that continually produce great results and are ranked among the very top; a lot of emphasis is placed upon every aspect of the student experience. 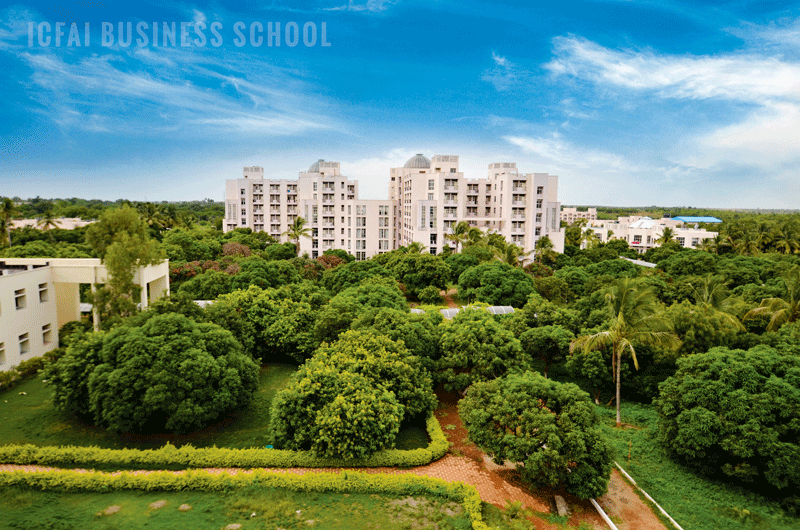 Two vital elements of the leading business schools in India are the Faculty profiles and Infrastructure. A robust faculty profile creates the confidence in the students that they will be well taken care of and guided by experts with many years of experience. On the other hand, the infrastructure plays an important part in the modern business school experience by enabling the students to operate to their full potential and explore their interests. Deciding upon the most important factor among faculty profile or infrastructure might be a herculean task, since both plays an important role in the enablement of the students. In this article we will explore what might be a few points to consider about the impact that these factors individually have on the life of a business school student. We would also try to understand how do the top business schools in India such as ICFAI Business School place a lot of emphasis and care in maintaining these factors. Reputation of a business school depends upon the success of the alumni and the quality of the development brought forth in the students and the quality of faculty directly impacts this. Faculties who are seasoned and have been part of the corporate world develop real world relevance of the instruction and can share practical examples of applying the learning. The business experience also comes in handy when the faculties use interactive and discussion based learning methods such as case studies to illustrate the lessons learnt in the classroom. The reputation of the faculty helps propagate the reputation of the B-school that they are associated with and well-known faculties can be a big reason in students joining the business school. Faculties are the custodian of the culture of learning in the campus and they help create a healthy enthusiasm towards not only their subject but also studies in general. Faculties are responsible for identifying the talents and development areas of the students and coach them adequately to realize their full potential. Faculties bring in a sense of discipline, curiosity, focus, and perseverance in the students and serve as a positive influence in the student’s life, sometimes even years after the student has left the campus. Faculties have powerful relations with the corporate world at large through a continuous stream of ex-students, ex-colleagues from previous stints at work and contact with other academicians. This helps in fostering strong links with the corporate world and helps in internship and final placements of the students. Faculties can provide relevant and effective insights regarding the curriculum and their feedback can help shape the curriculum in a way that is both industry ready and intellectually challenging to students. Faculties, through active participation in research in their respective field and publishing of their research papers and articles, can contribute greatly to showcase the intellectual quality of education carried out in the business school. The strategic location of the campus enables easy integration with the corporate world. Many of the business schools are situated near the big financial centers of the country such as ICFAI Business School has campuses in Hyderabad, Mumbai, Bengaluru, Kolkata, Ahmedabad, Gurgaon, Pune, Dehradun and Jaipur. Many campus infrastructures support outdoor activities such as swimming pools, gym, football or cricket grounds, and indoor court for games such as Badminton, Basketball, Squash and Volleyball to promote a healthy lifestyle. The IT infrastructure through Wi-Fi and well-equipped computer labs provide for students to research their field of study while some such as ICFAI Business School are also equipped with simulation software to enable real-time business driven decision-making simulations. The IT infrastructure also allows for specialized teaching software to run seamlessly such as ICFAI Business School runs SAP, SPSS, SAS, iThink, Rational Rose, Eviews, Microsoft CRM, AutoCAD, Cadian Advanced CAD etc. The libraries equipped with not only the latest installation of the software, but also volumes of physical books, including latest editions enable students to study and research while working on various business cases and take references. Many libraries also have computerized catalog systems for easier and efficient administration as well as access to various databases to grant easy access to countless pieces of information to support the students. Comparing the faculties with facilities could be a futile discussion trying to prove one being more important than the other but individually these both are integral part of the business school. As students write their own stories and prepare themselves for the prospects, they need support of both to reach their full potential and a bright future. How to fund your management education? The appeal of education in India continues to attract students from various backgrounds and walks of life. With the emergence of the competitive job market, it is seen that more and more students are moving away from vanilla courses. There is a high demand for professional courses which can provide a job opportunity to the students once they pass out. While most of the students are opting for the professionally oriented courses, there is an increased demand for quality tertiary education which can provide weight-age to the resume and good career prospects. Management education is one such field that gives the students an opportunity to make a lucrative career. The management education can be pursued through courses such as MBA/PGDM/PGPM from a business school. The top B schools in India have been known for the excellent quality of education throughout the world. The alumni of these schools can secure very lucrative salary packages and most boast of a 100% placement among its students. The admission in the top business schools in India such as ICFAI Business School is granted through extremely competitive entrance examinations such as IBSAT, CAT, GMAT, NMAT by GMAC. The ultra-competitive environment, placement track record and crazy high starting salaries may define the B schools today, but there is another aspect of business school which the students often tend to overlook. It is the B-school’s fee, which may be a big deciding factor in choosing a business school where you would like to complete your management education. The total fees of most management courses fall within the range of 5 to 20 lakhs. This is a steep amount and there are many students who may not have this amount ready at the time of attempting the entrance examination for the business school of their choice. The money though should not stop a student from going ahead since it is an investment that they make in themselves and which can pay itself back manifold over the course of their career. To fund their management education the students can take several paths. An education loan has been traditionally taken from a public sector bank in India once the student has proof of having secured an admission; however, private banks and creditors are also coming up with loan offers. The proof of admission comes through after the student has cleared the entrance test, group discussions and personal interview rounds. The students should plan for their loan in advance and not at the last moment to avoid missing out on the admission due to delays, complications or any such unfavorable circumstance. Many management institutes have tie ups with banks, which can approach the student with the loan offer; however, the students are free to take up loan from any financial institution they see fit. Many banks offer the students to pay the other fees such as accommodation, library, travel, laptop, and other expenses apart from the tuition fees. A lesser amount of loan gets easily sanctioned while a loan above 15 lakhs takes time and more approvals from the bank in getting sanctioned. To repay a bank loan, one must complete the course within the stipulated period. Once the course has been finished, the installments for loan begin. The repayment of loan usually starts after 6 months on the student securing a job or one year of completion of the course. The loan repayment period is usually set to 5 to 7 years and the student must pay back the entire amount within this time. An extension on loan repayment period can be granted by the bank; however, it is expected from the borrower that they would apply for the extension as early as possible. The borrowers are also offered relaxation in income tax in the period when they are paying off the interest on the bank loan. Before one takes a bank loan, the students must research and find out a bank that would offer the necessary course fee amount and at a reasonable interest rates. The students must also understand the fee structure of the B-school so that if required they can understand which parts of the fees can be covered under the bank loan. The students can also calculate the amount and number of installments that they plan to pay and how long would it take for the full loan amount to be paid back. The students must also keep a realistic idea of the job market and manage the risk of not getting as high a package as earlier expected. Many business schools provide a great value in return of the fees that they charge and if a student clears the entrance examination and secures admission, they should give it a serious thought. The starting packages of the B schools in India mostly make up for the reasonable fees that they charge. ICFAI Business School, for example has a course fees of 14.04 lakhs; however, has the highest CTC for the 2018 batch is going up to 13 lakhs per annum (national) and 22.36 lakhs per annum (international). This makes it reasonable for the student to pay back the loan amount without any difficulty in a few years. The management education though may be comparatively expensive than other postgraduate course but has a great future prospect because of high placement records and robust starting packages. The IIMs are the epitome of educational standards not only in India but also the world over. The premier institutions produce a fresh crop of students year after year who are battle ready to take up some of the most ambitious jobs available at the corporate. In India, this has resulted in a sheep like following of the “IIM dream” by the students, the parents and the educationists, which may render the students’ incapable of seeing other opportunities. In the field of business education, there are many avenues available to the students, who may want to look beyond IIMs at other CAT accepting colleges in India. The students may also attempt other management examinations for the business schools and consider tests such as IBSAT for ICFAI Business School. Scoring well in CAT alone does not automatically guarantee a seat at an IIM. Since the IIMs in their selection criteria also considers other things such as past academic performance, gender and educational diversity in their prospective student batch, this sometimes means that you may not get a call from a top IIM even after scoring well in the CAT. IIM Ahmadabad, IIM Bangalore and IIM Calcutta have traditionally been and are currently the top management colleges in India. There are other B-schools which rank almost as high while the other IIMs are a little behind when it comes to MBA/PGDM/PGPM college ranking. It can create a difference in students’ packages and placements after their management education has been completed. A lot of business schools today can match the kind of offers their students receive with the prestigious IIMs. Many private and government run business schools provide an excellent educational experience and make for a great developmental journey both inside and outside the classroom. Management education is dependent more on the practical aspect of developing the students’ knowledge and skills rather than a very theoretical and by the book idea of the studies. The critical differentiator is the right kind of environment for the students to flourish and many business schools apart from the IIMs can provide this through stimulating the intellectual curiosity and provide meaningful challenges. Summer internships, business projects, case studies, research projects and many more are methods by which the top B schools in India provide their students an opportunity to work upon live business problems. Business schools are required to have powerful ties and liaison with the industry to create the scope of work for the students and facilitate the industry integration of their education flawlessly. Many business schools apart from IIMs excel at this aspect of their education which makes it a meaningful and pragmatic learning experience. 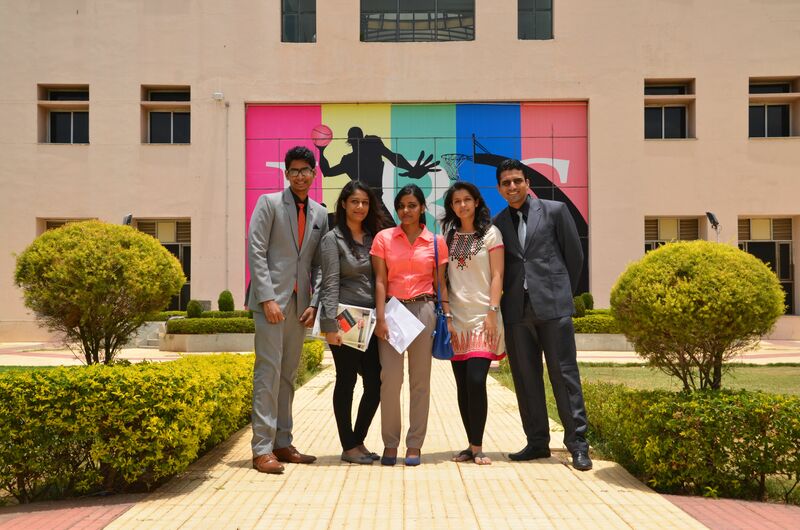 At some top business schools such as ICFAI Business School, the students are exposed to various aspects of their campus life such as college events, group discussions, co-curricular activities and much more. This prepares them for the leadership roles and challenges that they might face in the years to come. There is no shortage of CAT accepting colleges in India. The Indian business school aspirants have been getting quite disillusioned with the hype that is created around the IIMs, simply because how difficult it is to get admitted in one. The quality of education provided at many B Schools today matches and in certain areas exceeds the IIMs. Some of the business schools further excel in a field of management, such as Human Resource Management, Marketing, General Management and many others where students can shape their careers. The primary reason for the hype around IIM had started because the management education was a costly affair in India and IIMs were known to have discounted fees. This is no longer the case since the IIMs are some of the most expensive business schools available for the students. It is true that the IIMs are prestigious institutions which have a reputation in the wider world of providing world class education. It is also true that many top Business schools today can effectively match the educational offering that is being provided by the IIMs. Top B schools of India such as ICFAI Business School are quickly bridging the gap in the education provided at their campuses and IIMs. The shift in opinion of industry and students reflects the higher value that is being provided by the non-IIM business schools. With international accreditation and industry acceptance, the students are gaining confidence in going forward without the IIM badge on their shoulders. The B schools these days are a giant melting pot in which students from all walks of life come together for a truly collaborative learning experience. There is no shortage of CAT accepting colleges in India which levels the playing field and provides equal opportunity for students coming from varied educational backgrounds. The diversity seen in the top B schools in India is reflective of the Indian culture which takes pride in the strength of our diversity. The students bring with them a rich academic experience which helps them builds upon and create unique skill sets. The students also learn the valuable skill of collaboration and appreciating a different point of view than their own. While the Engineers have traditionally aced the CAT, GMAT, XAT, IBSAT and other prominent admission tests, the number of non-engineers has been on a rise steadily in the past decade. This is owing to the selection criteria where the numeric ability is given equal emphasis and weightage as non-numeric ones such as Reading Comprehension, Vocabulary and Logical Reasoning. There are several other factors that contribute towards the convergence of Engineers and Non-Engineers in a Business School. Some of these are listed below. Comprehensive curriculum: The curriculum of leading Business schools in India is a business driven which requires the students to undergo a variety of academic courses for overall development of the students. This enables the students to capitalize on not only their individual strengths, but also on the learning they acquire from their surroundings and other students. Because the academics include various elements such as project work, group assignments, and presentations and so on, the students must explore the strengths of their groupmates and learn from them. This enables them to appreciate their differences and they look forward to work with people who come from a different background, hardwiring the diversity in their DNA. International educational standards: The enamor and pull of Engineering is an Indian educational trend and this accounts for many students pursuing Engineering degrees under pressure from society/parents and group think. The international educational standards, however encourage the students to pursue courses that are of their choice and this is catching up fast in India as well. When the Indian engineering students join B schools, they feel a natural pull to pursue other fields and become deeply interested in other subjects. This brings them closer to their batchmates coming from other backgrounds. Some of them go on to form friendship that lasts a lifetime. Creativity and Innovation: Top MBA/PGDM/PGPM programs place a lot of emphasis on the creativity and innovation since these skills become necessary once the students join the industry. Creativity helps them find answers to atypical questions and enables them to look at problems from a different viewpoint. Diversity of thought is an essential part of a group being able to think creative solutions and students soon realize that they need to create diversity in their circles. This includes not only gender and cultural diversity, but also diversity in educational backgrounds. They try to get to know and nurture their batch mates who have graduated from a different stream. Social events and fests: The social events and fests provide an excellent opportunity for students to mingle and appreciate each other. This holds true for students who have graduated from Engineering and Non-engineering colleges. The students bring with them the past experiences and talents that become useful in social events such as a fest. 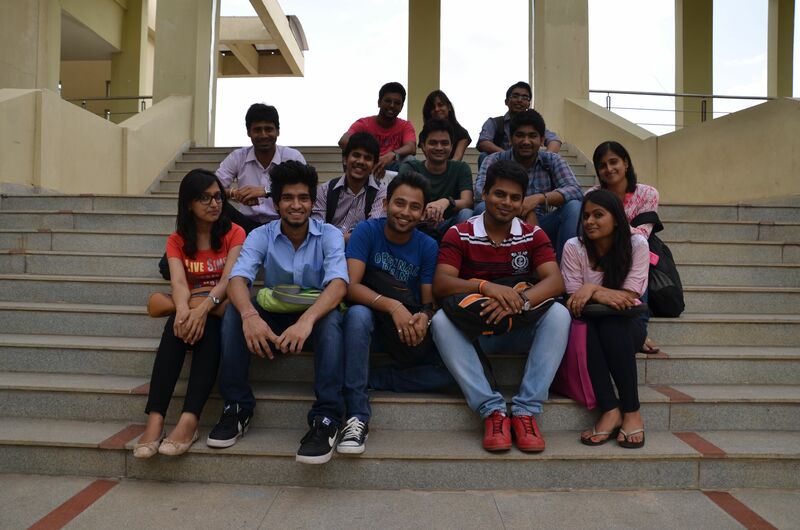 This also involves the students from various departments of the B school to work together and make it a success. The students get a fair chance to form bonds and create social ties with others. These events are a necessary part of the B school experience and develop the people management skills of the students, including working with people from different background and school of thought. Complimentary skills: Numeracy and data interpretation are very important skills and students from Engineering background usually excel at these. This helps them to excel in certain subjects at the B school as well. The other subjects however require different skills such as linguistics or reasoning. The Engineering students usually need to work upon them to excel and deal with subjects beyond STEM (Science, Technology, Engineering and Mathematics). This may include subjects such as Accountancy, Economics and Business Communication. They may rely upon their non-engineering batch mates to help them come up with the learning curve quickly while providing support to them in the numeric skill based subjects. Shared accommodation: The shared accommodation provided at some of the top business schools in India, puts the students in close physical proximity with each other by shared room or adjacent rooms. The room selection is usually done at random and gives the students a fresh slate to form friendships with their neighbors or roommates regardless of educational background. This helps in tearing down any preconceived notions that the students may have regarding each other and acts as a social melting pot. Some schools take it a bit ahead and divide the students in houses which encourage interactivity through close social contact. It is often seen that that the engineers and non-engineers get along very well after they start seeing each other as fellow human beings and establish mutual trust and respect. Friendly competition: As the students often take up projects and enter several competitions that are organized, they have a chance to work with other students to get better themselves. The competitions create platforms to see other students as worthy adversaries and remove any notions of grandiose that they may have about themselves. They understand that other students come with their own strengths and shortcomings and this helps them gauge themselves in comparison to other students helping them see clearly where they stand. Interactive classes: The faculty members play a vital role in top management colleges in India and work tirelessly to bridge the skill and knowledge gaps that both Engineering and Non-engineering students have. As the students start building up their academic performance, the faculty members recognize publicly the efforts that they are making in the right direction. This encourages students to open up more and interact with their batch mates through facilitated discussion and gives them a lot of shared experiences to talk about. It is true that the number of non-engineers is still lesser than engineers in many Business Schools these days; however this gap is bridging up fast. In the coming days as the number of engineers and non-engineers balances up, the collaboration between them would help create greater value for the students undergoing the B School experience. B-schools have always been synonymous with the continuous development of the managerial and leadership qualities in the youth. Therefore, the rise of business schools in the past few decades has given the students a powerful career path to aspire for. The best MBA/PGDM/PGPM programs in India take this into account and aspire for a world class education. This involves augmenting some of the most useful and effective learning techniques, a robust curriculum that is constantly evolved with best industry practices, and experienced faculty members who can use technology to enhance the learning experience. While all this is very exciting for any student, surviving at a b-school takes more than just passion and dreams. A big part of it is having the self-discipline to ensure that you are always on top of the curriculum and your studies, and keep up with the demands of the course. The other big part is in understanding the expectations of the course and preparing yourself for a different kind of life with some unique demands. Let us look at some aspects of what a day at a b-school entails and help you envision a future at one of them. While the accommodation and other facilities are not the most important of the b-school experience, it is one of the first things that most people notice about their prospective campus. The campus keeps playing an important part in the life of the students, who form close bonds of friendship during the MBA/PGDM/PGPM program. The usual staples of a campus would include hostels, classrooms, administration buildings, libraries and auditoriums. As time has evolved most b-schools also have included a high-tech computer lab, which helps the students in their research work. Some great campuses have a Case Development Center (CDC) which makes the b-school stand apart from its competition. The campuses also include facilities such as swimming pools, gymnasiums, basketball courts, grounds for cricket and football, table tennis, badminton, to name a few. Over the time spent in a b-school, the students usually develop their academic as well as co-curricular activities which prepare them for life to come. It becomes an important part of the memories that stand out about their Alma mater. A typical day includes the students making use of the facilities for their academic work followed by them spending time in activities such as playing a sport, researching things or simply chilling out with their friends at one of many hangouts including the hostel itself. Just because the students are going through a revolutionary academic experience, does not by any means equate to compromising your social life. As the students leave their previous lives and enter this new phase, they learn to foster new relationships and social ties. The curriculum gives them ample opportunities to take out time from their schedule to devote at group projects, forums, groups and enhance their people skills. Many newer teaching methodologies also leverage the social skills of the students and assign projects that need them to interact and collaborate with other students. As you find a like-minded person, you would be inclined to spend more and more time with them during a day. A good example of the b-school helping you in developing your co-curricular activities are through clubs and common interest groups. Clubs can be focused around areas such as money management, financial markets, drawing, photography and theater. The club membership allows the students to pursue interests that they desire apart from studies. Although the course curriculum forms the major building block of any learning experience, it is especially true for someone going through the top b schools in India. The coursework is intellectually challenging and constantly requires you to push the boundaries of your comfort zone to take more and more academic work in the form of class projects and assignments. In the typical format of “learning by doing” the students going through MBA/PGDM/PGPM have their fair share of workload that they would need to fit into their routines. Since there are many students who join the course from the science background, subjects such as accountancy are new and require them to learn things from scratch. A lot of hours of the day of a student at a b school are dedicated to learning about the general principles of management as well as understanding nuances of their specialized field. The students also need to keep themselves updated regarding the new happenings and changes in the world of business which requires some time. The events and happenings, although not taking place every day, can become an integral part of your b-school experience. The events can range from an informal fresher party thrown together by the previous batch of students to various formal competitions organized between b-school students. The common events organized at a b-school may include freshers’ party, farewell party, summer internship, placement days, annual day, fests, competitions, sports day and seminars. All these events take a fair share of time and the days preceding the events may require the participation of the students in not the event but also organizing the same. These events prepare the students for the real-world challenges in organizing and motivating people that the student must face once they enter the corporate world. It enhances the leadership skills of the students and helps them foster powerful industry contacts that can serve them well in the future. As you may have understood by now, the b-school experience is not really a cakewalk and it is also true that not everyone who embarks on this journey goes on to completing it. The people who make it to the end of the line though, have promising careers and prospects that would make many people envious. The best MBA/PGDM/PGPM programs in India provide the students an opportunity to invent themselves and shape their futures through their own hands all the while giving an opportunity to have a lot of joy and memories in the process.